Welcome to Blazing Star Herbal SchoolBlazing Star Herbal School offers unique and exciting programs in herbal studies to give both the student and professional an opportunity to delve deeper into the art and science of herbalism. Blazing Star Herbal School courses have been highly acclaimed for inspiring students to find their unique healing path through personal relationship with the plant world. Our grounds encompass 26 wooded acres of pine trees, rushing brooks, wildflower meadows and gardens in Western Massachusetts. It is in this peaceful environment that we invite you to share and learn. Blazing Star Herbal School is dedicated to teaching traditional herbal medicine in a way that supports a more sustainable future for all members of the green world and shows respect for the integrity of nature. We offer a unique perspective on herbalism, weaving social and political aspects of health and healing through the study of medicinal herbs and food practices. We inspire students to find their own healing path by creating a personal relationship with the plant world. The school also serves as a local and national resource for education and networking. Presently running Blazing Star Herbal School is Tony(a) Lemos. She studied Natural Therapy at Raworth College of Natural Therapies in England (where she spent most her childhood) and has apprenticed in the wise woman tradition of healing with Susun Weed. As well as teaching at Blazing Star Herbal School and beyond, she maintains a clinical aromatherapy and herbal practice at the Underground Salon in Northampton MA, 151 Main Street, downstairs. Tony(a) is also Vice President of NEHA (northeast herbal association) as well as a professional member of NAHA (National Association of Holistic Aromatherapy) and a member of MassNofa and uPs. A lover of real food, she organizes the local chapter of the Weston A. Price Organization, bringing community together through local food activism. When she is not teaching apprentices or participating in herbal events you may find her frequenting local coffee houses with friends new and old discussing dreamy ideas, feminist causes, or simply wondering in the woods looking for wild mushrooms to cook up for dinner for whoever dare show up. 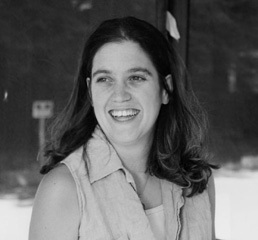 Gail Ulrich was the Founder and Director of Blazing Star Herbal School and founder of New England Botanicals herbal products. An herbalist of more than 20 years and a certified Flower Essence Practitioner and Instructor, Gail’s vision also brought us the New England Women’s Herbal Conference presently in its 17th year . She was also an organizer of the Healing With Flowers Conference as well as many other herbal events. Gail authored one book, Herbs to Boost Immunity published by Keats Publishing now unfortunately out of print.